Are you tired of feeling burned out and exhausted, knowing there must be a better way? Have you done all the “right things,” but can’t seem to get the traction you want? Are you growing tired of all the well-meaning advice and cookie cutter solutions? Maybe it’s time for a real conversation about what’s keeping you from your next level. Doing this work is hard. Especially when you’re obsessed with making the world a better place. Your bigger dreams keep calling to you and pulling you away from peaceful complacency, spurring you on toward this mission that won’t rest easy in your heart. Maybe those words don’t sit quite right for you… yet… but I’m not going to let you continue to deny it. You have a bigger purpose that you need to grow into. In order to do that, you have to fully embrace your own personal brand of leadership, let go of self-sacrifice, and evolve into the best version of yourself – so you can make a bigger impact. As an entrepreneur or executive, you’re able to make decisions and take action using your own judgment and following your own vision. Autonomy is wonderful, but can leave you isolated, without structure, new ideas, or an objective sounding board. Taking time to plan and having the accountability to follow through can be the difference between staying where you are and moving forward. Katie provides individual coaching programs to help your business and your career thrive! Are you stuck without creative solutions to move your business to the next level? Or do you have a big idea, but aren’t quite sure how to make it happen? Katie partners with you, providing a 360-degree assessment and in-depth strategy that produces a solid action plan you can implement right away. 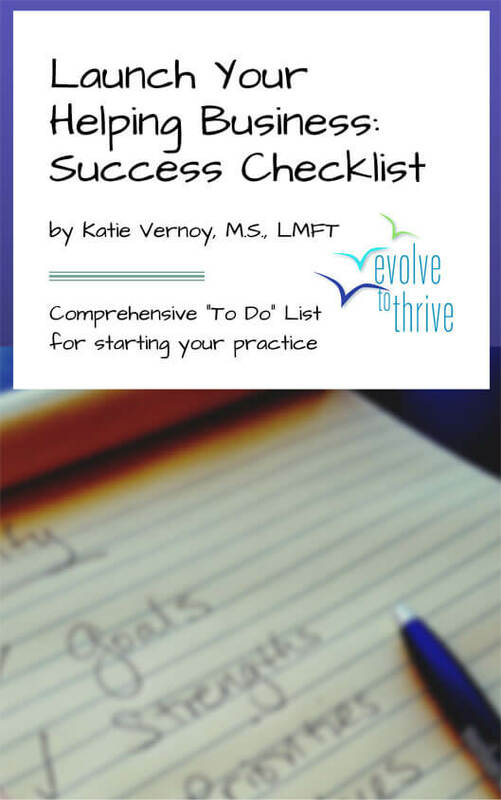 My name is Katie Vernoy and I’m a licensed therapist, coach, consultant, and speaker. I’ve navigated the same ups and downs that you have. I’ve run my own businesses, designed innovative programs, built and managed large, thriving teams, and stepped into leadership as a State Board member for my professional organization. Schedule a free initial consultation with Katie. When your business is helping people, it’s important to have the business fundamentals in place. Then the Launch Your Helping Business – Success Checklist is for you! I have been in the finance industry for 8+ years. By nature, I am very analytical and goal-oriented. The problem with these attributes is that I spend entirely too much time analyzing my business to find areas where I could be generating more revenue and increasing my time management efficiency. About a year ago I came to a point in my career where I needed someone who could help lead me down a path of efficiency, as well as someone that I could actively brainstorm with. I retained Katie at the beginning of Q4 2013. I had two goals: 1. I wanted to generate an additional $10,000 per month in revenue during that quarter, and 2. I wanted to establish a repeatable system to drive new business development, while at the same time providing a more robust client experience. Right away Katie was able to help me transform my thoughts into actionable ideas and she made it clear at the onset that she would hold me accountable to ensure that my goals were met. To say my goals for that quarter were met would be an understatement! I more than tripled my quarterly revenue goal, while at the same time increasing my business pipeline 50% and implementing repeatable, high touch, client experience. I have continued to retain Katie, and in almost a year since we started meeting on a monthly basis I have increased revenue 50% year over year. Her consultative, detailed approach has been a blessing for my business and I would recommend her to anyone who is looking to be more efficient and who wants to take their business to the next level. Katie Vernoy continues to be a pleasant surprise to me in the business coaching world. My company is in a niche industry and a regular coaching model doesn’t fit with our goals and systems. She has custom tailored her expertise and guidance to work with me on organizing, establishing and attaining our growth goals. For the past two years, I have been the sole employee, CEO, sales, marketing, etc. for my company and as I continued to grow and hire on more help it was difficult for me to transition out of the micro-managing mindset and into an ownership and delegation position. She not only provides input, but solid, tangable systems that are applicable to any size business. I highly recommend her to anyone looking for business consulting services. Katie is a treasure to work with. She is smart, hardworking, and thoughtful. When Katie takes on a project she puts her entire energy into it. She wants to help make others successful. I have been very lucky to work with Katie to have someone with such devotion and faith in what you do. Katie has been instrumental in helping me transition from working as a clinician in an agency into my private practice. She is energetic, motivating and creative, and at the same time, she’s patient, grounded and logical. Katie has been able to engage with my creative exploration process, and has exceptional skill in being able to pinpoint topics with sensitivity and purpose, which has helped me feel centered in defining my professional practice. Thanks!! Katie has been my business coach for four months, and I plan to continue working with her. I meet with Katie once a month for 1 hour each visit, and I work on projects/assignments between each meeting. Katie is an amazing coach! I highly recommend her services. 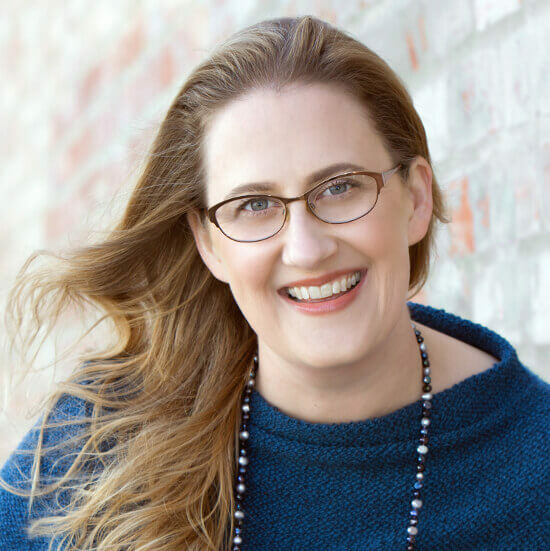 Instead of telling me what to do, Katie listens and then expertly guides me to finding solutions to the challenges I’m facing with my business and personal effectiveness. With Katie’s guidance I’ve learned to work “on” my business and not “in” my business. She’s taught me valuable time management skills, and I am now able to focus most of my attention on business system development. Katie has helped me make important positive changes in my life over these past few months. Within two weeks of looking for jobs and interviewing, I was offered a position at the agency of my choice. I wanted to thank Katie Vernoy SO MUCH for all her help, insight, and attention. Our meetings together and her consultation packet were so incredibly helpful. I had never been so confident going into my interviews as I was this time around! In just a few short meetings with myself and my office manager, I have gained huge insights in how to better communicate with him. His productivity and sales are up 200% because now I know what he needs to succeed. I strongly recommend any small “entrepreneur” led company to work with her for a month. The rewards are big. I was absolutely blown away by the great feedback that you gave me from our mock interview and your edits on my resume. It has been rare in my experience to receive useful critical feedback in a warm and engaging way. Eventually, I’d love to focus on learning to teach and instruct in the skillful and accessible way you do. I’m so thankful for the time that you gave me. I know that what I was given will continue to inform how I present myself professionally. It turns out that I was offered a position with the site I was interviewing with that same afternoon. I had to turn it down due to their inability to provide me with supervision hours, but I will keep in touch with them for future reference. If it’s okay with you, I’d like to refer my friends and tell my Clinical Practicum Director at Fuller about your services. I wanted to give you an update. I have accepted a position as a Clinician with South Coast Community Services in Rancho Cucamonga! The company offers a great salary and benefits. Also, my new resume helped me to get invited to Didi Hirsch’s Talent Engagement Roundtable (a place where I had trouble getting into). Thank you so much for helping me fine tune my resume. It has made a difference in my search for the perfect career opportunity. I am now receiving phone calls/emails from prospective employers; which has not happened in 2 years. I will definitely recommend your services to others. I originally met Katie at a jobs fair where I found her command of knowledge about the mental health industry to be truly uncommon. I think there’s something to be said for working with a career consultant who is specific to the industry you’re interested in. I had previously met with a generic career counselor and that mostly involved many of my inquiries being met with “Let’s look it up together!” Over the course of a handful of sessions, Katie helped me refine my search, which led to the job I currently hold and love. I am infinitely grateful to Katie!